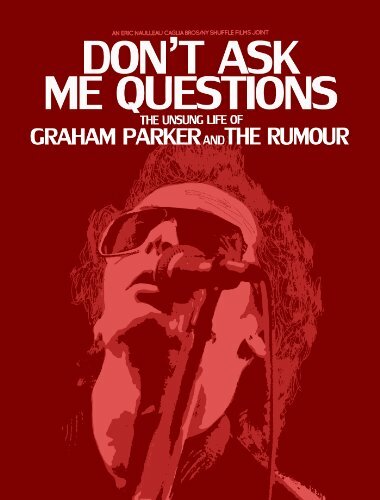 Virgil Films today announced the exclusive iTunes release of Don't Ask Me Questions: The Unsung Life of Graham Parker and The Rumour , an entertaining and heartfelt look at the career of the iconic, never-say-die British rocker. The film will be available on DVD and Digital Downlaod beginning April 8, 2014. Graham Parker has recorded and performed nonstop for more than 35 years. Refusing to compromise, he has always marched to his own drum. Together with his passionately remembered band the Rumour, or on his own, Parker created such classic songs as "Local Girls," "Temporary Beauty" and "You Can't Take Love for Granted." He was a heroic inspiration for artists who followed him such as Elvis Costello and Joe Jackson and admired by the likes of Bruce Springsteen and Bob Dylan. But in the end he defied the new wave movement that he had helped spark. As the music business continued to change beyond recognition, he remained true to his musical vision. But in Don't Ask Me Questions , we see that Parker, at age 59, has had a slight change of heart: He just may be ready to go a just a little commercial. Leaning on his publishing company to place his music in ads and TV shows, Parker attempts to sell without selling out. The film, from acclaimed documentarian Michael Gramaglia (End of the Century), recounts Parker's long career up to the present, revealing his independent spirit and defiant optimism while celebrating the sincerity of his music and his delightful, self-deprecating wit. Appearing in Don't Ask Me Questions are, among others, Bruce Springsteen, musician and record producer Nick Lowe and filmmaker Judd Apatow, who cast Parker as himself in the hit comedy This Is 40. Virgil Films has been a leading distributor of independent features, documentaries and specialized titles; Don't Ask Me Questions is the latest example of the company's new foray into music-oriented films, following the successful documentary The Scene: An Exploration of Music in Toronto.